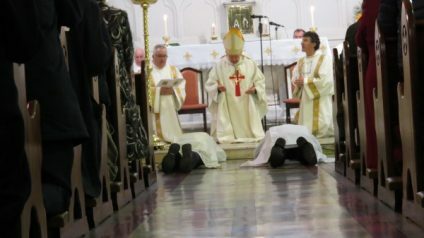 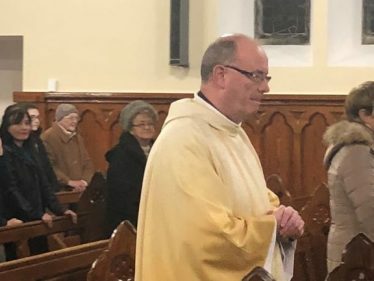 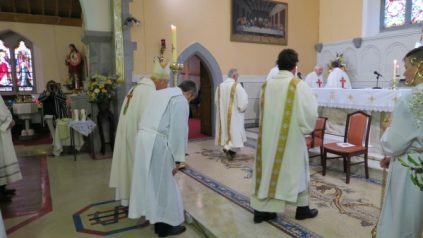 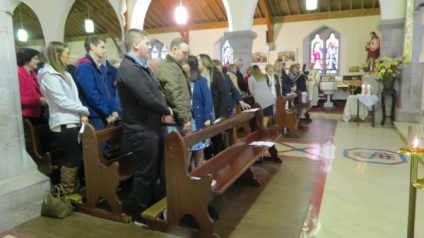 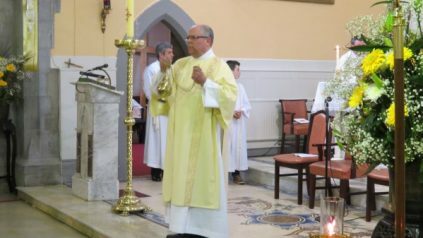 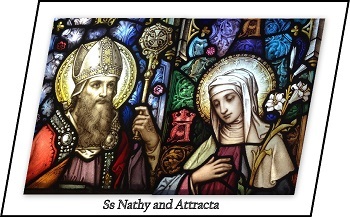 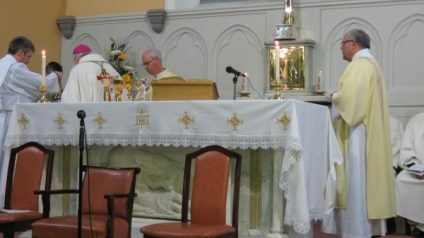 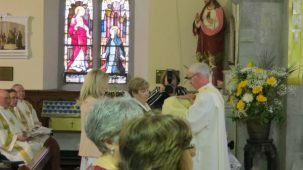 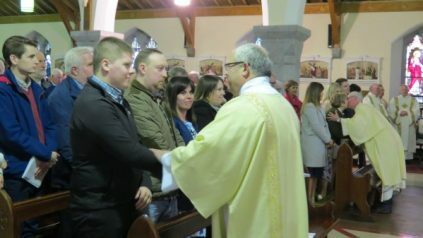 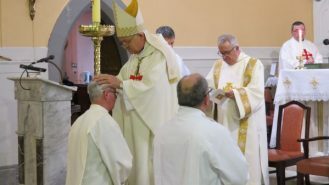 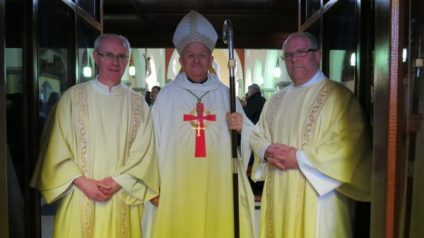 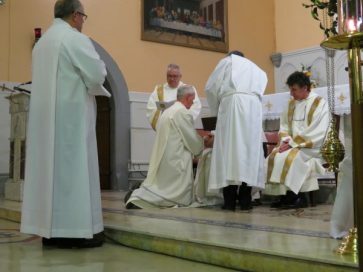 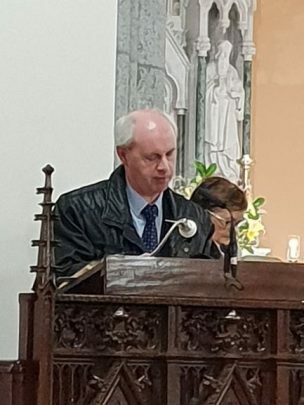 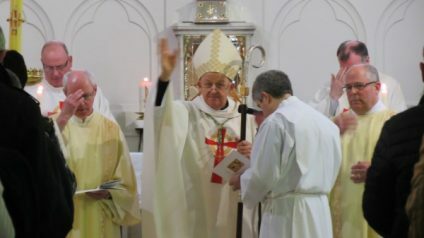 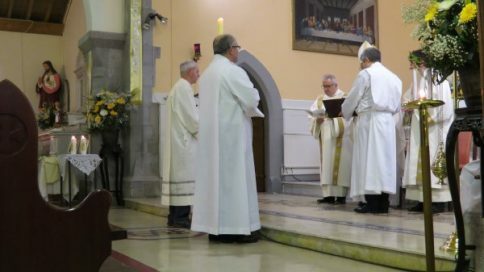 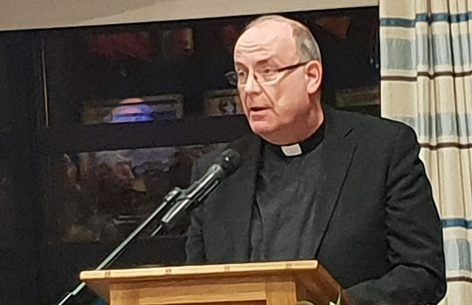 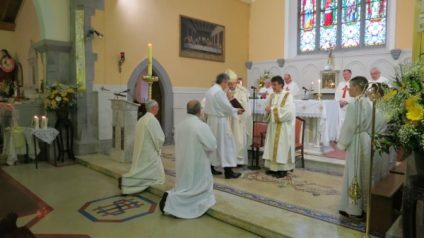 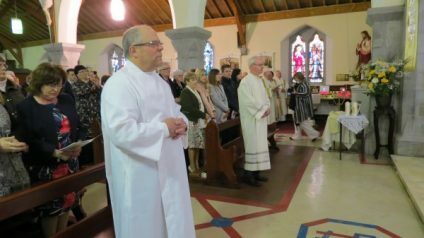 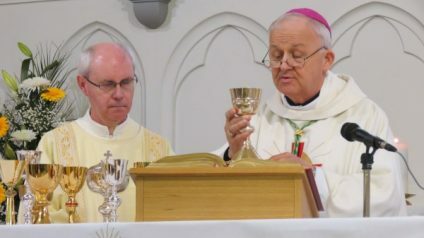 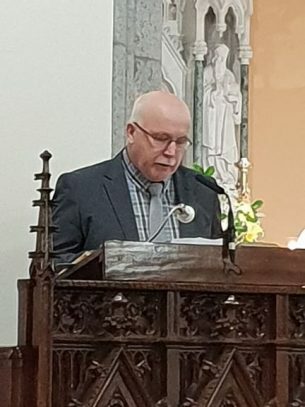 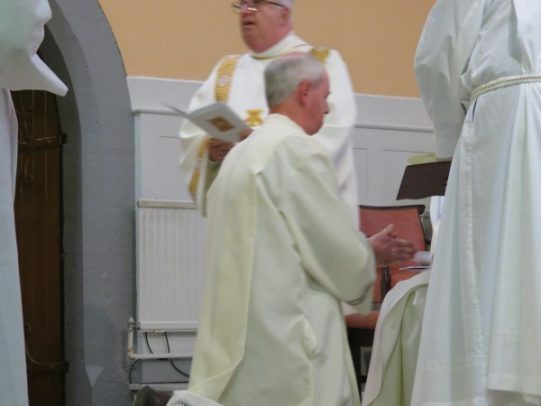 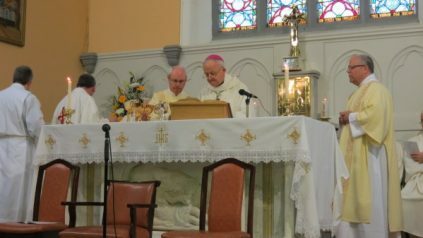 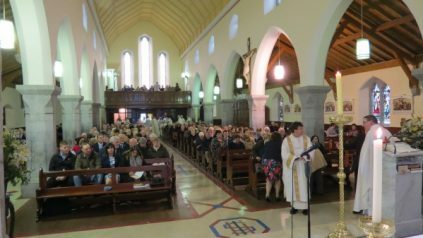 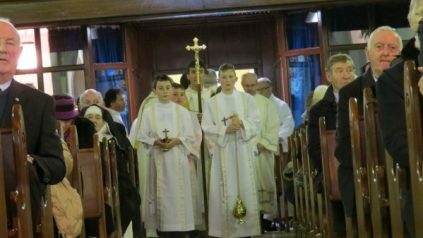 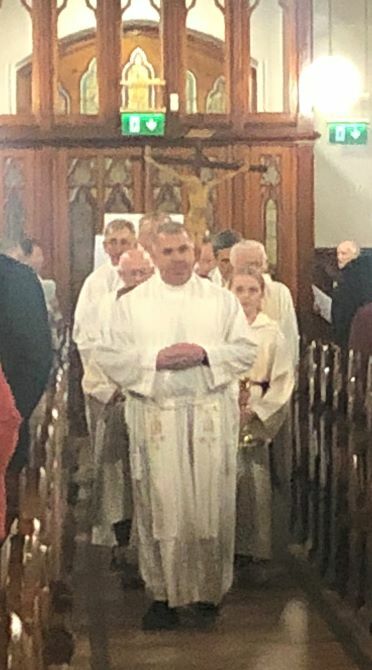 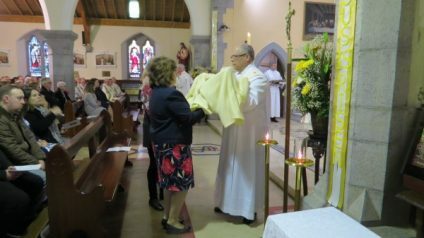 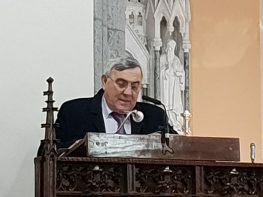 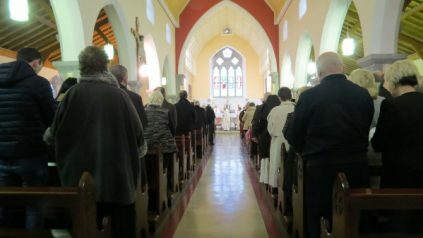 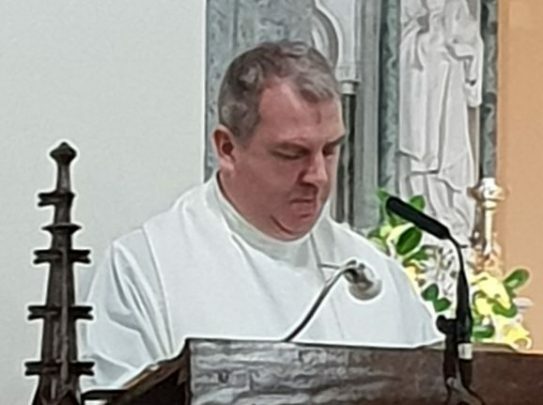 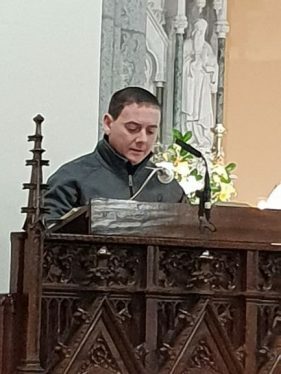 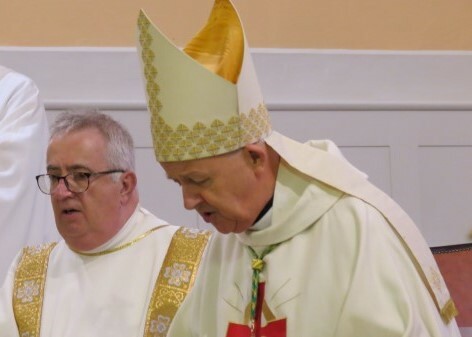 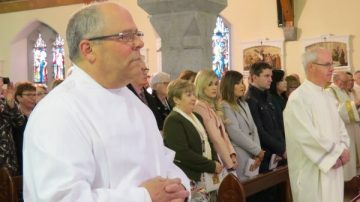 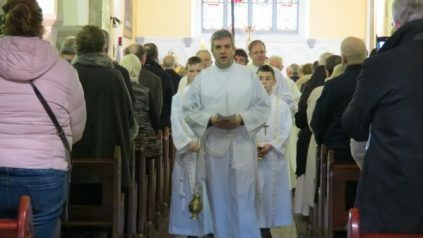 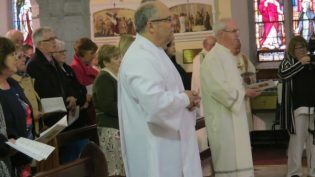 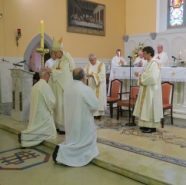 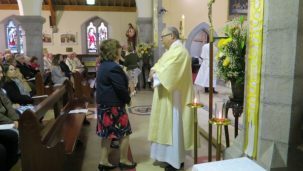 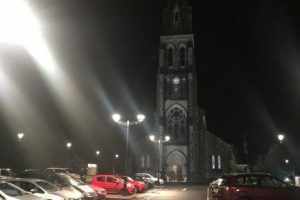 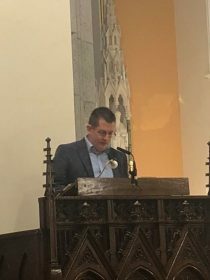 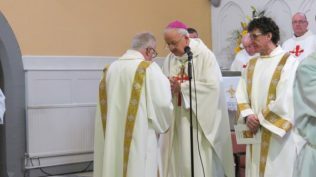 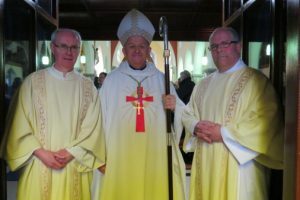 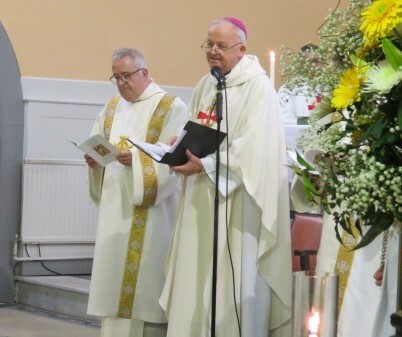 On the Feast of All Saints Of Ireland, our Diocesan Administrator, Fr Dermot Meehan was Principal Celebrant at a Mass of Thanksgiving in the Cathedral of The Annunciation and St Nathy, Ballaghaderreen. 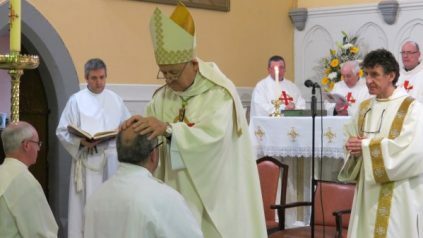 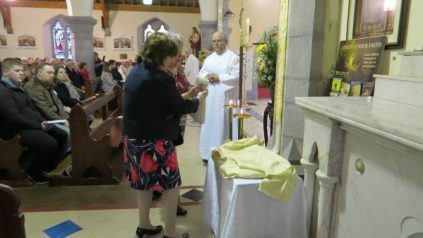 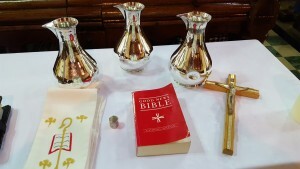 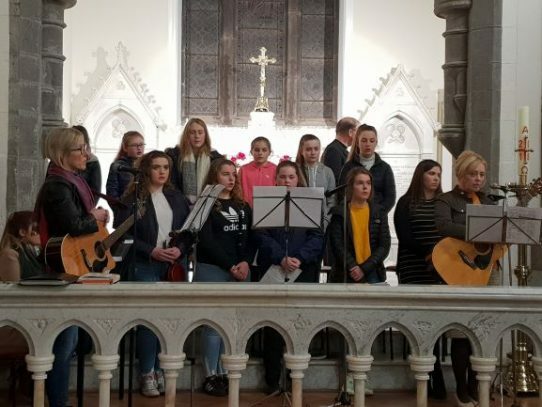 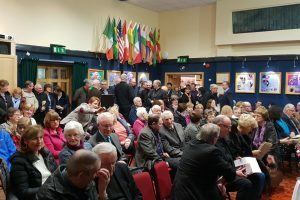 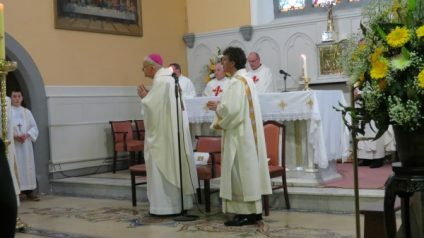 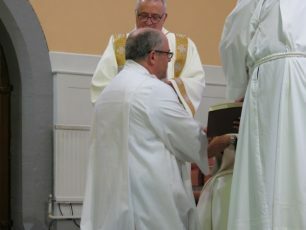 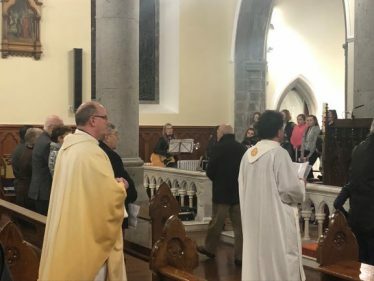 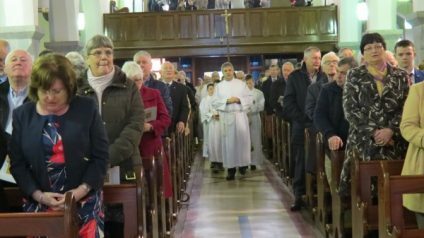 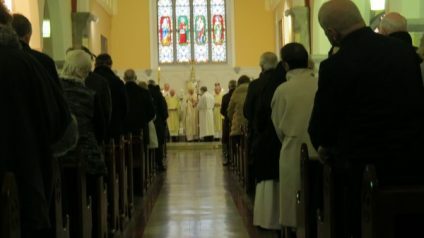 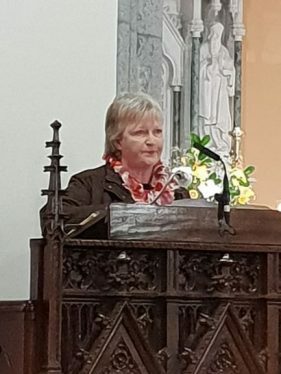 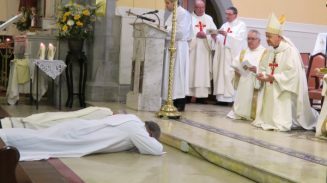 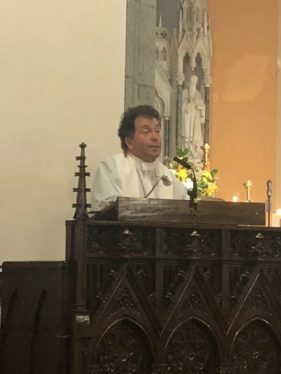 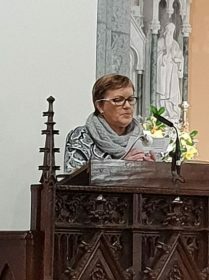 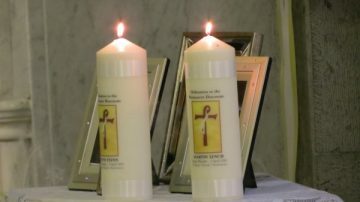 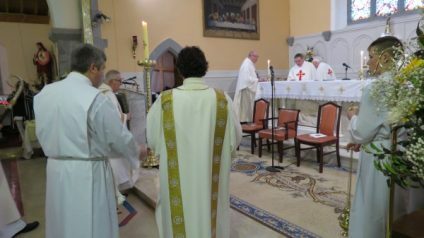 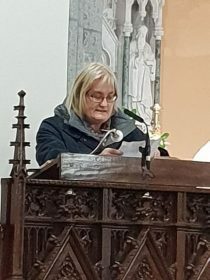 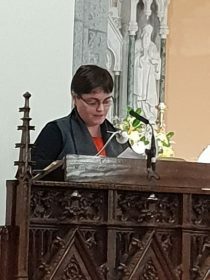 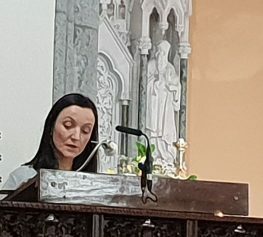 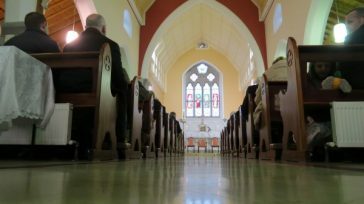 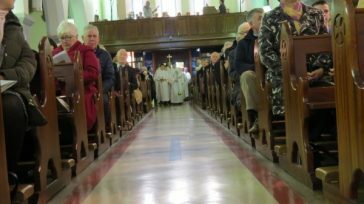 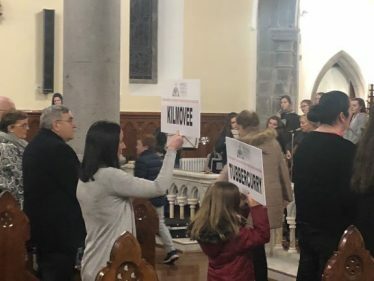 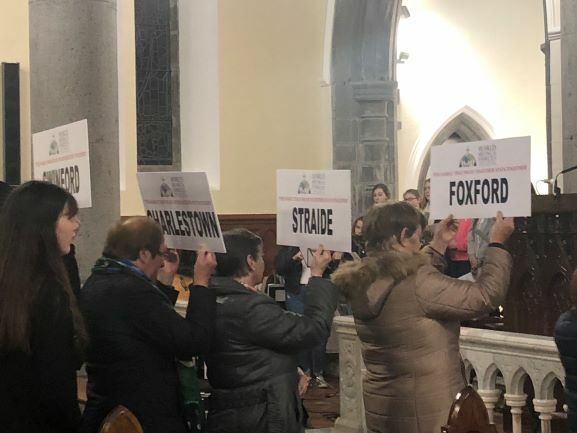 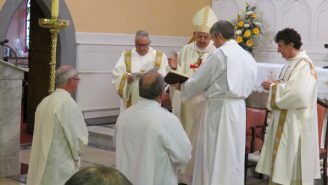 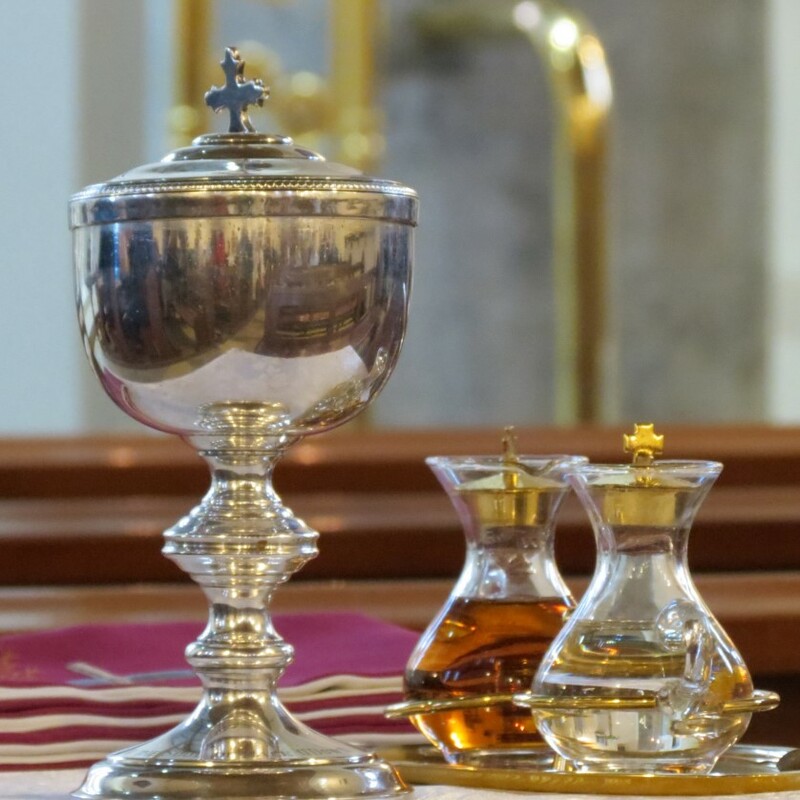 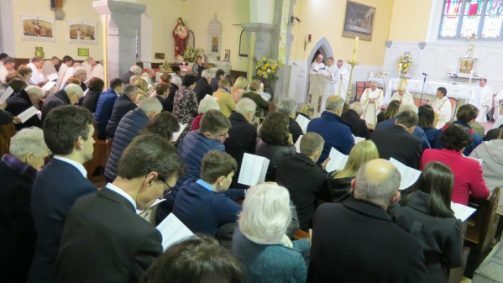 The mass was celebrated in thanksgiving for the recent renovations carried out in the cathedral and in gratitude for all who had supported this work through the Living Faith Campaign. 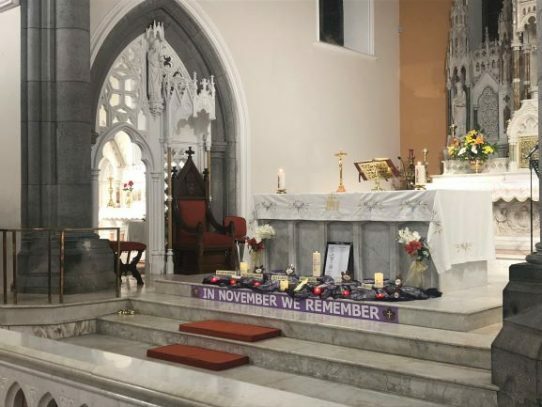 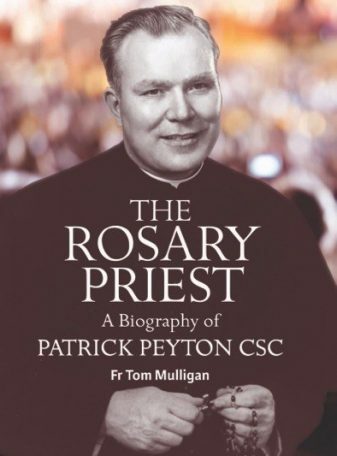 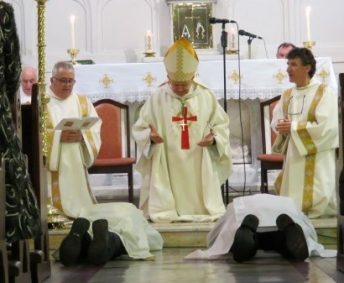 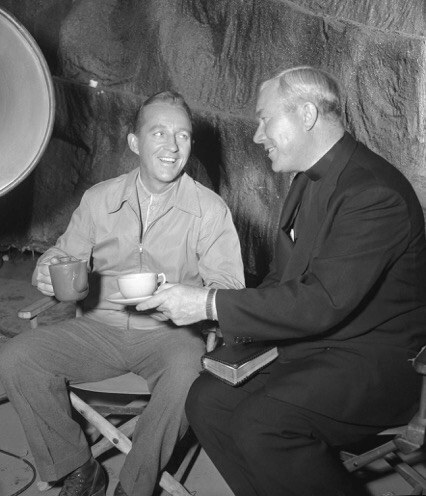 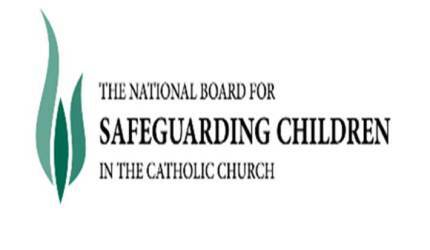 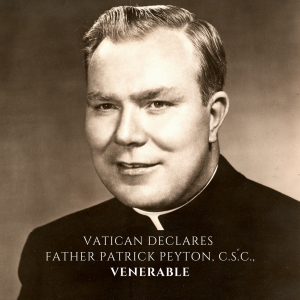 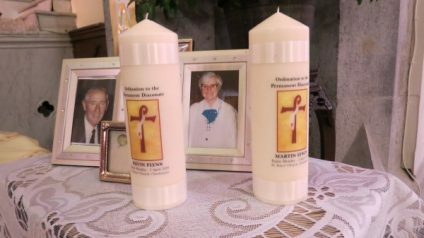 This campaign, begun by Bishop Thomas Flynn, R.I.P. 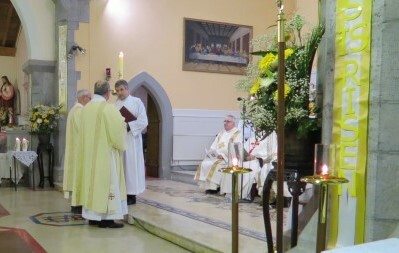 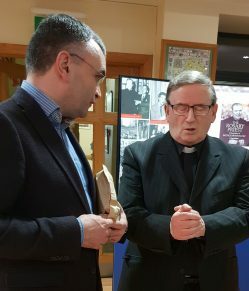 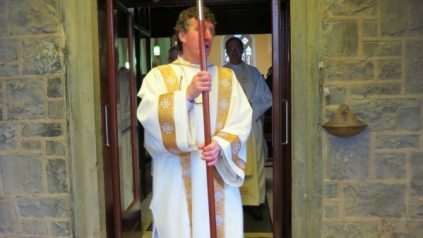 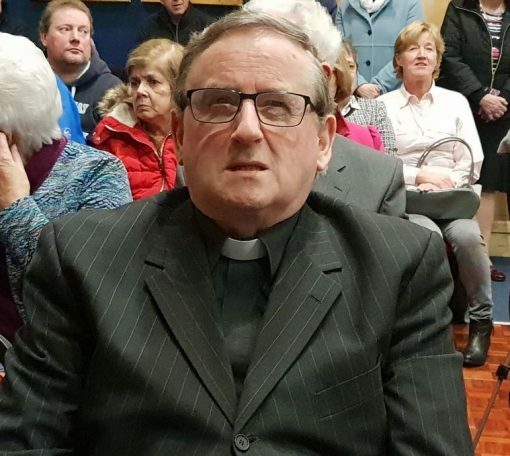 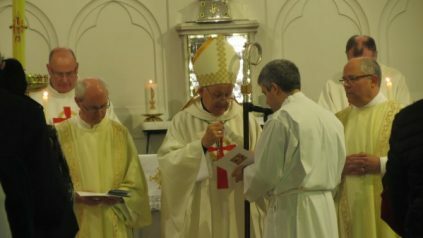 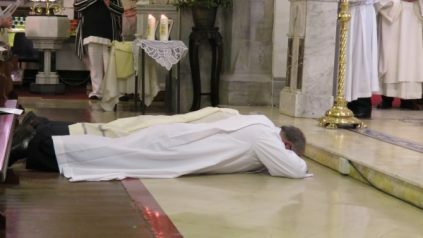 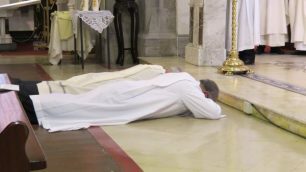 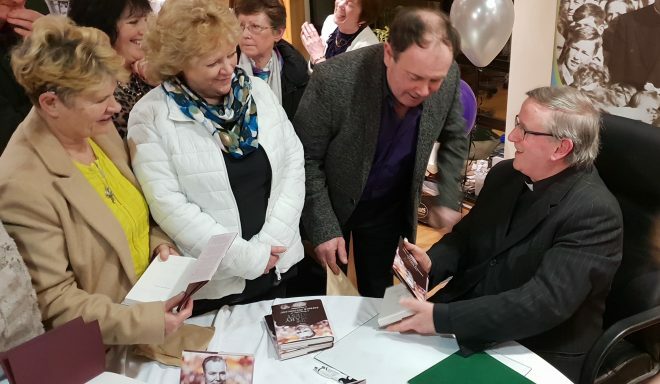 and concluded by Bishop Brendan Kelly had ear-marked works to be carried out in the cathedral. 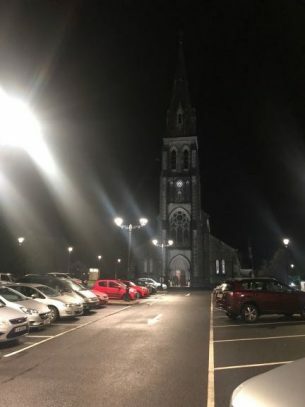 Much work has been done with a totally updated electrical and heating system installed, works carried out to remove dampness from the building etc. 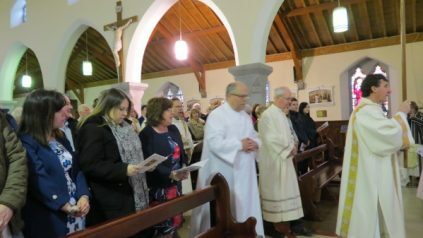 The cathedral looks very well and it was wonderful to be able to gather there with people from around the diocese to celebrate Mass. 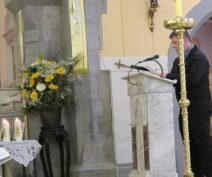 Fr Dermot spoke of the building of the Cathedral as the building by people of faith, a place of worship in a very difficult time. 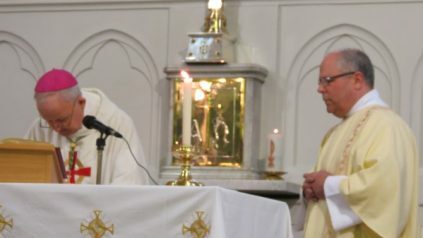 He spoke of the need to tend to the building of a people of faith too. 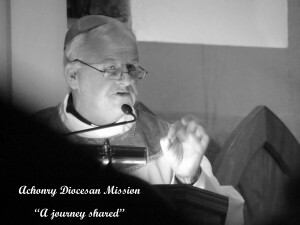 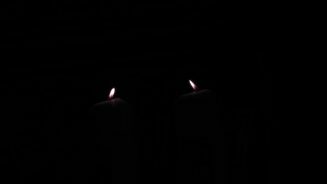 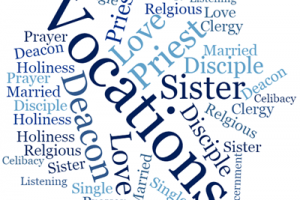 Perhaps that is our current challenge and calling in the diocese at this time. 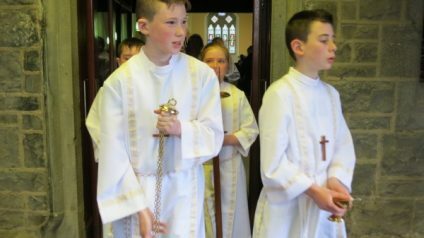 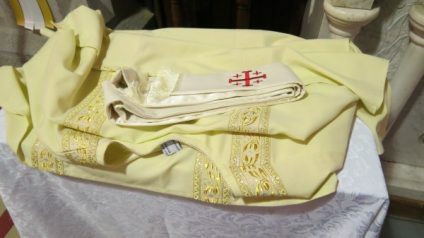 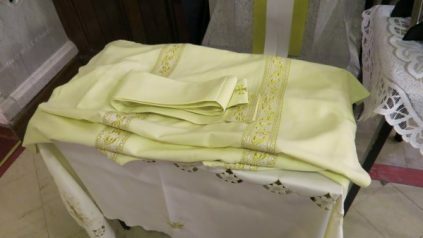 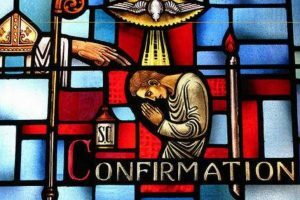 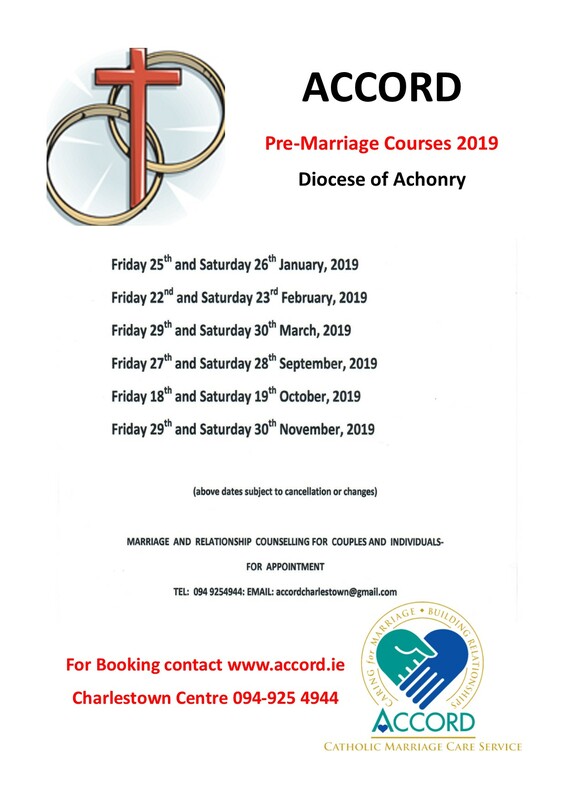 will celebrate the Sacrament of Confirmation in his own parish this year.